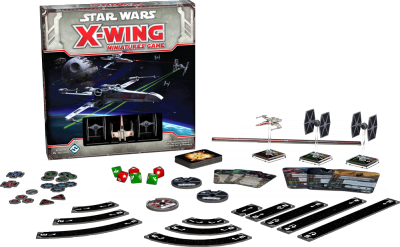 One of the high points in my career must have been last summer at Gen Con 2012, when two of our big releases were not only games I designed, but Star Wars games. There are two things that have been constants in my life: gaming and Star Wars. To be able to design games using a license that has been so influential to me is a dream come true. I think what I am most proud of with both games are the stories I hear about how they’ve gotten people into gaming that normally don’t play, or have been used to introduce a whole new generation of gamers to a hobby and setting their parents have loved for decades. 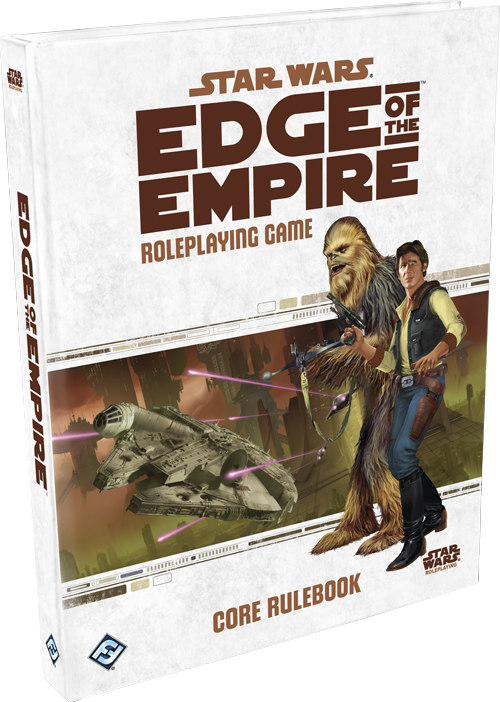 I’ve seen a number of posts and have received letters and e-mails from people telling me that both the Star Wars: Edge of the Empire RPG and X-wing Miniatures Game helped them get their old college gaming group back together, or got a reluctant spouse to play for the first time. It is especially rewarding to hear someone say that the Edge of the Empire Beginner Game was their children’s introduction to role-playing or X-wing their introduction to miniatures gaming. The journey to Gen Con 2012 was paved with design challenges, however. Fortunately, one of my favorite parts of game design is coming up with creative ways to face those challenges. 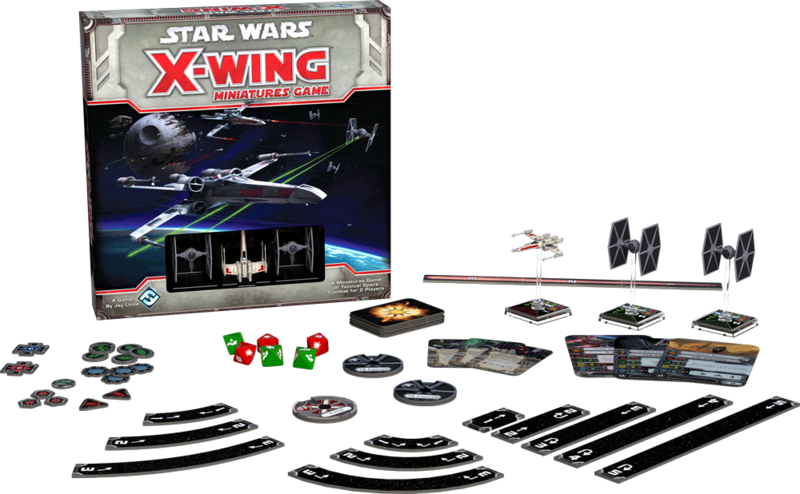 For X-wing, part of the challenge was to be faithful to the World War I/World War II dogfighting that aerial Star Wars combat was modeled after, while still delivering the excitement and explosive action we’ve come to expect from Star Wars starship combat. We also had to decide how to model 3D movement and positioning on a 2D playing surface, as well as account for the different starships, pilots, gear, and ordnance found in the setting. Last — but certainly not least — it had to be easy to learn. The development team did an amazing job taking the full game and capturing its essence to create a set of Quick Start rules that allow players to get going in literally just minutes. But although there were different challenges associated with both games, I’d have to say Edge of the Empire was a more daunting project overall. 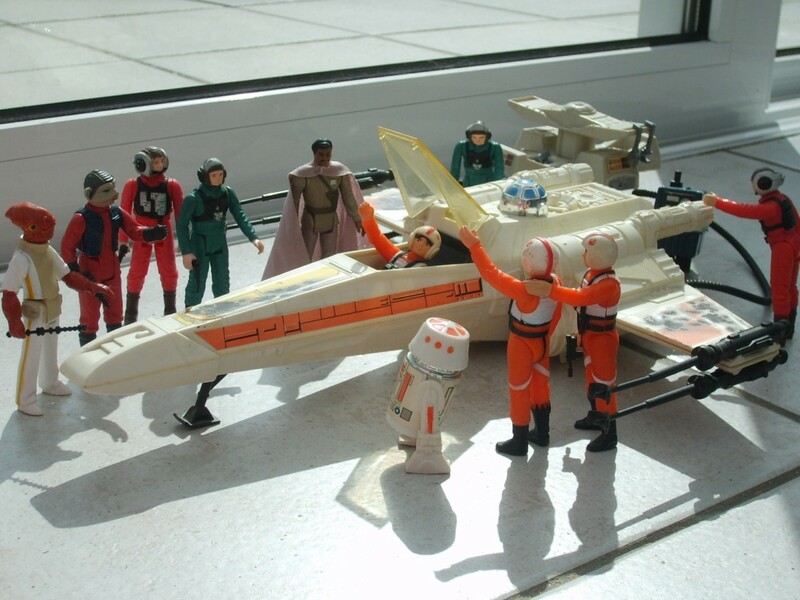 There were so many people involved in the development and production of X-wing that there were always plenty of people ready to pitch in for brainstorming or help with playtesting the early prototypes. While developing Edge of the Empire, we had to come up with the “foundation elements” that would inform the gritty fringe experience we wanted to deliver for the roleplaying game, as well as establishing a framework we could apply to Age of Rebellion and Force and Destiny in the coming years. In some ways, we weren’t just designing one roleplaying game, we were designing three roleplaying games that each tell one part of a much larger story. That meant ensuring the core mechanic, character makeup, and task resolution systems were flexible enough to potentially work in various settings, eras, and events within the overall Star Wars universe. For example, aside from Luke Skywalker, fully-trained Jedi are virtually extinct in the Rebellion era where Edge of the Empire is set, not long after the first Death Star was destroyed. Despite this, the Force is pervasive and ever-present. It had to be represented in Edge of the Empire. But we knew we also had to design a clear framework for the Force and Force powers, and include the distinction between the light side and dark side. 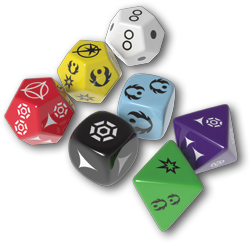 What’s more, as I was designing Edge of the Empire, I knew that I wanted to include custom dice. There is a tactile, visceral feeling to rolling dice. But in many game systems I had played, traditional dice often led to traditional results. After all the modifiers and math, dice rolls usually came down to a coin flip — either you succeed or you fail. In some games, it felt like encounters became about optimizing the math rather than telling the story — because it was the math that was rewarded with tangible, in-game results. The underlying essence of the dice system originally designed for Warhammer Fantasy Roleplay focused on adding layers of information to the dice roll, allowing for a wider range of outcomes and possible interpretations with each roll of the dice. It was a natural progression to take a system that was designed with an eye toward enhancing storytelling and tailoring it to tell those stories in the Star Wars setting. Even though I was very excited about the custom dice, I was even more excited about the Obligation mechanic. The idea for Obligation was like a thunderstrike. When that idea hit, it was immediately clear Obligation would become a defining element for Edge of the Empire. Perhaps more than anything else, it helps set the tone for life in the Outer Rim or among the fringes of society. It can be hard to get by on your own even in the luxury of the Core Worlds. In the areas explored by Edge of the Empire, anything is available — for the right price. People struggle and survive based on who they know and what they are willing to do. Debts are owed. Favors are exchanged. Bribes are paid. Loyalties are tested. Obligation can take on these forms and many others, representing something each character has to deal with before it spirals out of control. First and foremost, Obligation is a storytelling tool to help add depth and nuance to the players’ characters, but there are also in-game mechanical effects to having too much outstanding debt. It is the game’s Sword of Damocles, hanging precariously overhead, keeping players from getting too comfortable, on the run, and attempting to stay under the radar. It can create an engaging sense of tension and anxiety without distracting players from the rest of the game. 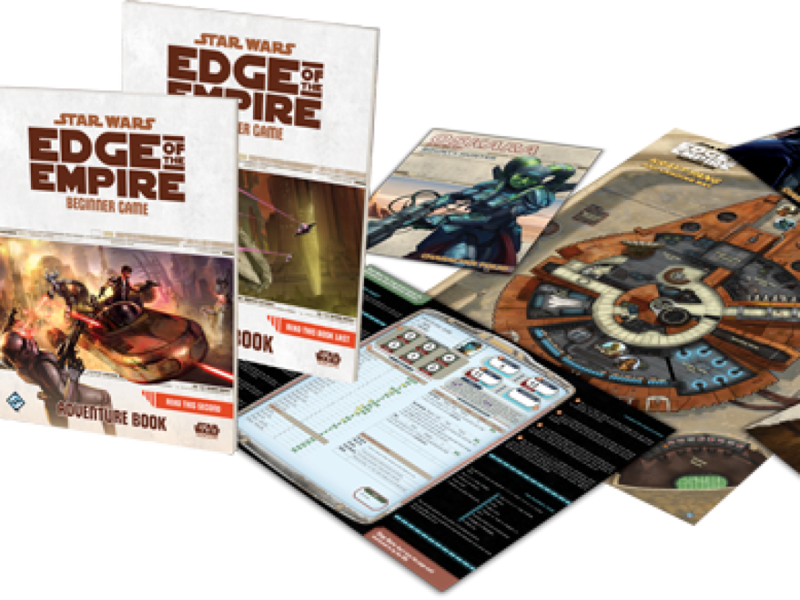 As far as the future goes, there are a lot of really cool supplements and adventures slated for Edge of the Empire. 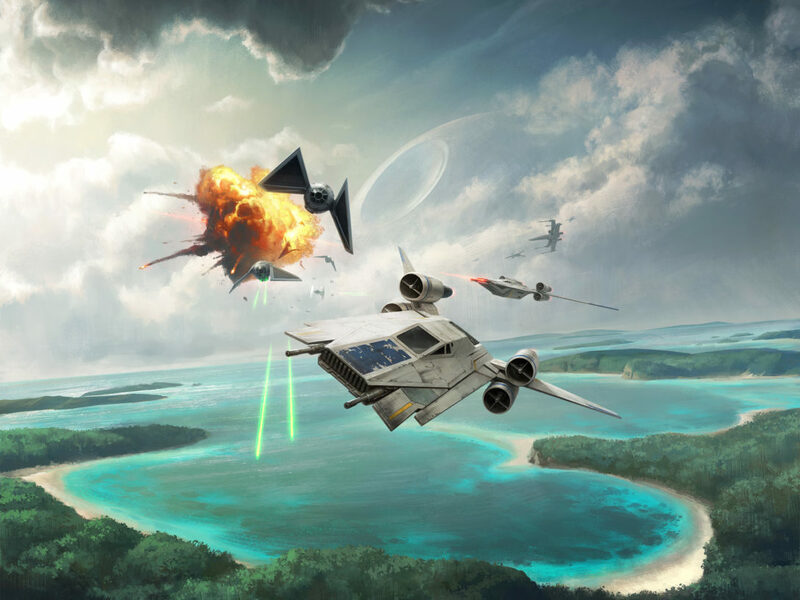 I can’t wait to feature more starships for characters to fly and more specializations for players to choose from. While the character development system is straightforward and intuitive, there is a lot of depth and a huge number of customization options for players. And we’re adding even more ways to tailor your characters to your personal style. 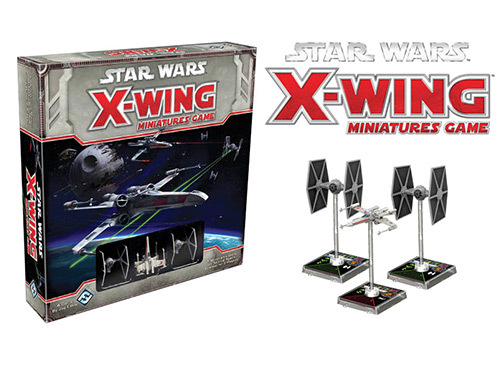 Stay tuned to the official Fantasy Flight Games website at www.fantasyflightgames.com for all the latest news and information about Edge of the Empire and all your other favorite FFG games! Currently a senior game designer at Fantasy Flight Games, Jay Little has been working in and out of the game industry for most of his adult life, with more than 50 titles to his credit. In his time at FFG, Jay has been involved in the design & development of a number of popular games, including X-Wing Miniatures Game and the Edge of the Empire RPG for Star Wars, as well as Blood Bowl: Team Manager and Warhammer Fantasy Roleplay. Jay is an avid game collector, with more than 800 board games and 1,000 roleplaying products he loves to pore through for inspiration and entertainment.